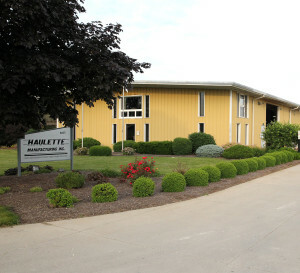 Haulette Manufacturing is situated on 5 acres of land about 3 miles north of Celina OH. Our 45,000 square foot production facility houses all of our equipment and materials to complete our projects during all phases of production, including sawing, machining, welding, forming, painting, and assembly. We also have all of the support equipment necessary, including cranes, trucks, and forklifts. Please click the link below to see our full equipment list.